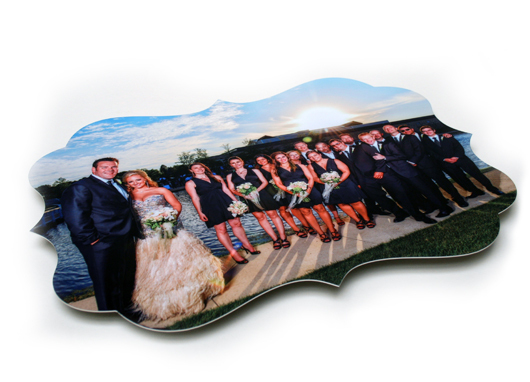 Metal Photos Direct is your one stop shop for metal prints of your favorite photos to ensure they last for years. We give our clients an array of style options for their custom made prints, and have a variety of different ways to display your photos. If you have any questions about our products and services, contact us so we can give you the help and information you need. 24 - 48 Hour Turn Around Time! 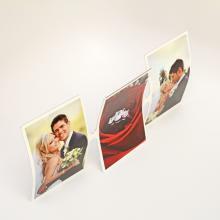 Two or three metal prints stacked on top of one another using a single image. 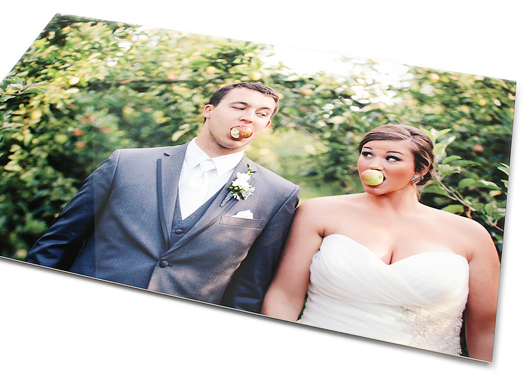 The overall image is used as a background while the floated metal print is a cropped in version. Thus creating a 3-Dimensional look when moving around the piece as it is displayed. These styles include Arched, Flexed, Wood Base, Trip Arch, Quad Arch, and Trip Wave. Some styles only come in landscape aspect ratios in order for product to be self-supporting. Specially designed with extended size to create its base when bent, our Flexed Metal Desktop prints provide an ergonomic tabletop product to display your most precious moments. 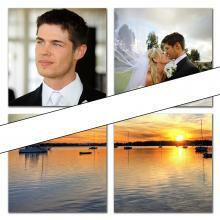 Available in an assortment of desktop appropriate sizes in portrait and landscape format. Specially designed to extend the overall size by 1/4” to fit into a grooved base, our Wooden Base Metal Desktop prints showcase life’s treasures from front to back. 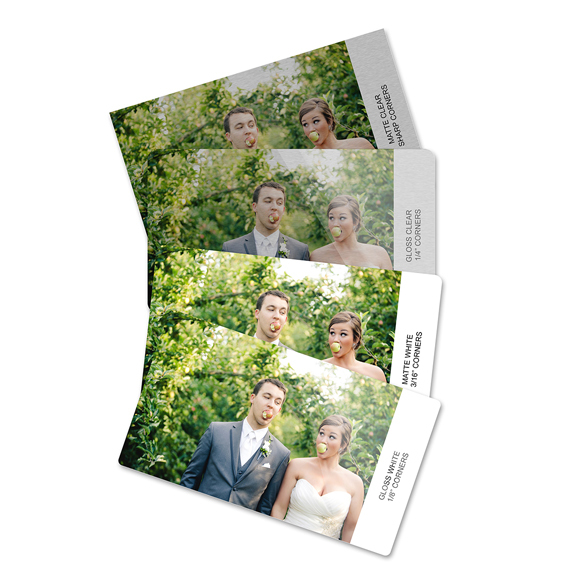 Available in an assortment of desktop appropriate sizes in portrait or landscape formats. Specially designed to use the curve of 4 arched prints to create its base, our Quad-Arched Metal Desktop prints display your favorite images. 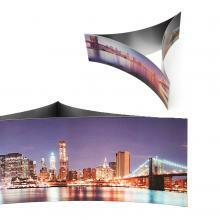 Specially designed to use the curve of 3 arched prints at opposite angles, our Trip Wave Metal Desktop prints display your favorite images in a unique way. 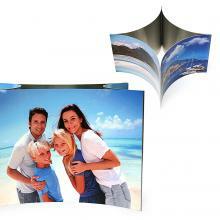 A wall display that allows selection between two image options to capture and showcase life and its many adventures. 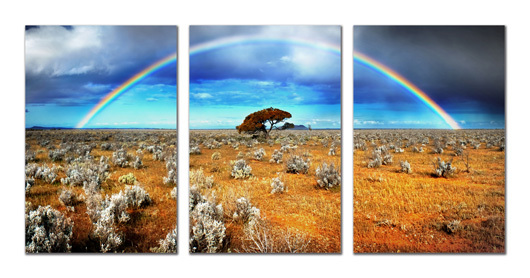 Choose the Triptych, a 3-panel display, or Four square, a 4-panel display. A 4-Panel wall display that allows selection between two image options to capture and showcase life and its many adventures. Double-sided metal printing is available and each ornament comes ready to hang with red ribbon. 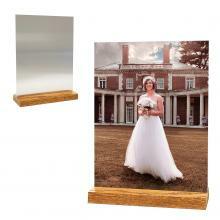 These photos on metal are perfect gifts for family, friends and employees. Ornaments can be a meaningful and memorable gift for the holidays as well as excellent and thoughtful gift options for any occassion. 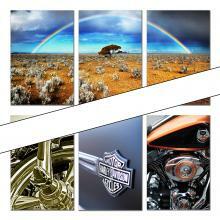 Order a free sample of Metal Photo prints to see our range of surfaces and finishes.